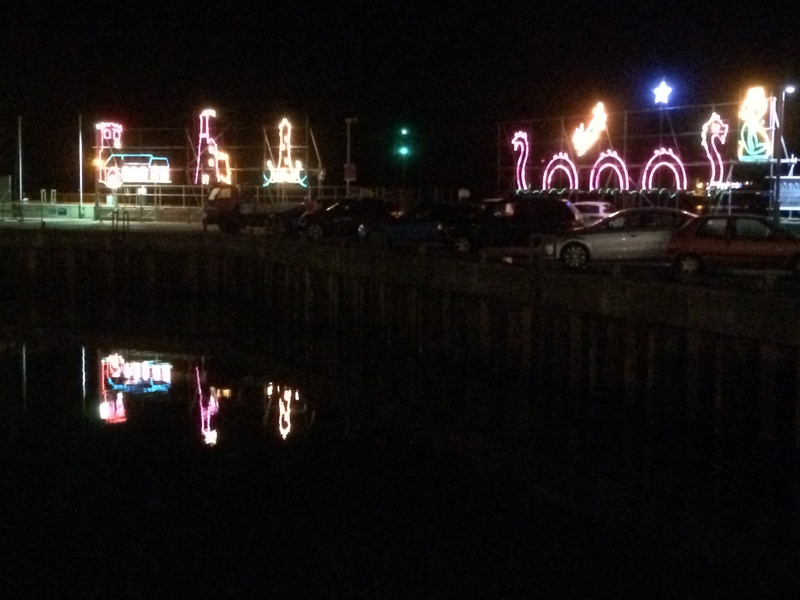 The Padstow Christmas Lights are always fun, we all love Nessie it is Padstow’s answer to The Loch Ness Monster all lit up in Padstow Harbour! Rick Stein also loves the lights and talks about them on his TV dcoumentary about Padstow. 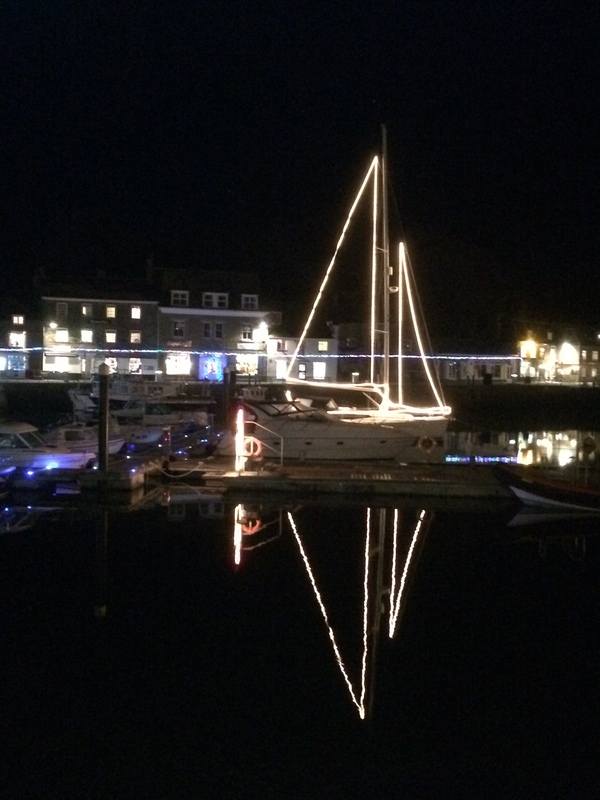 More Christmas lights in Padstow Harbour! 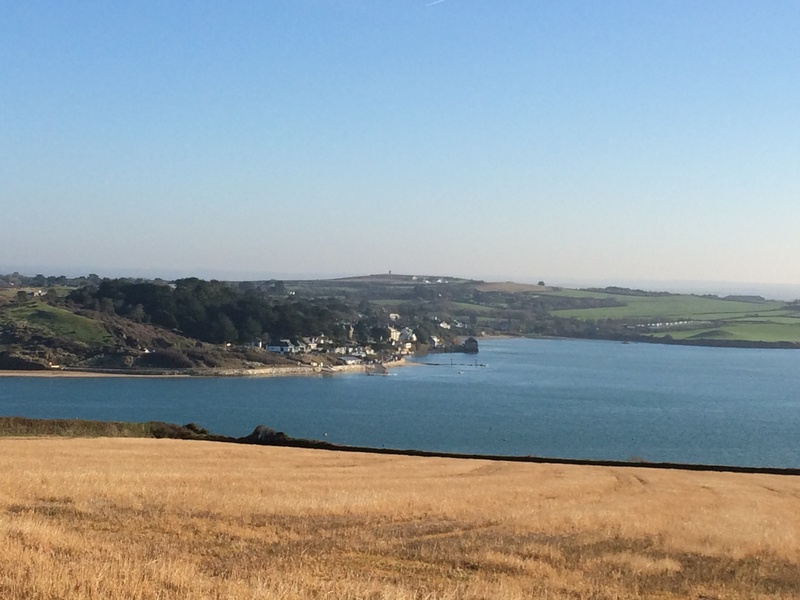 The view overlooking The Camel Estuary over to Rock and Porthilly on a walk in Padstow up past Prideaux Place and the deer park and down through the fields towards Padstow Memorial, a beautiful day! 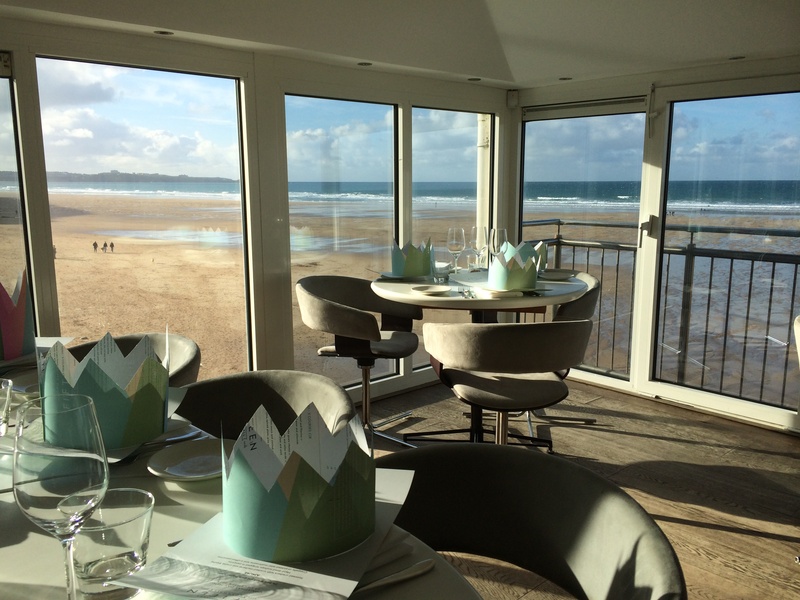 Boxing Day lunch at Jamie Oliver’s Fifteen Restaurant at Watergate Bay, Newquay, a truly wonderful dining experience and the views are breathtaking! 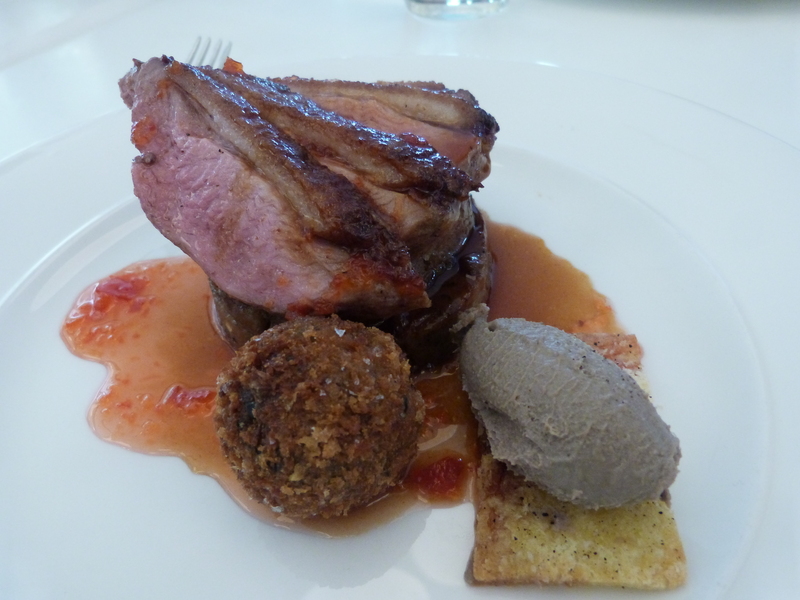 The food at Fifteen was amazing! 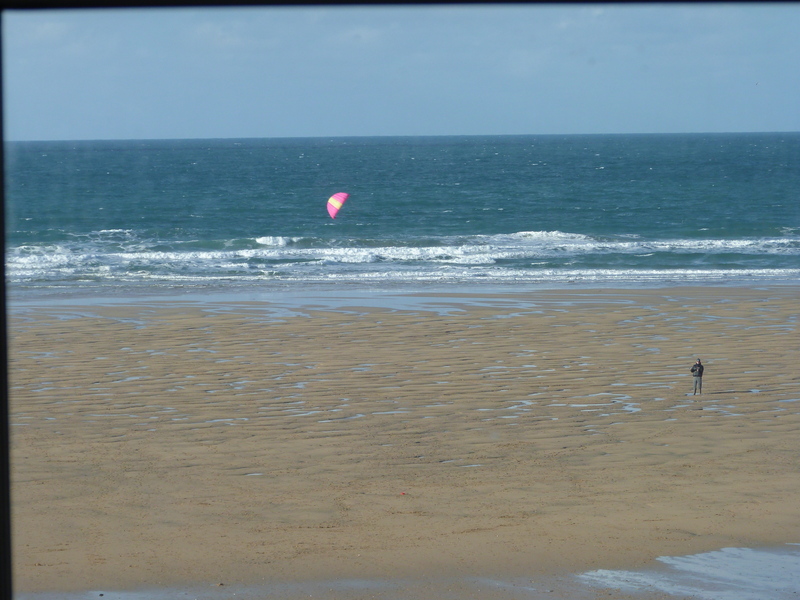 After all the scrummy gourmet food at Jamie Oliver’s Fifteen Restaurant at Watergate Bay we went for a walk on the beach at Watergate Bay and then back home to Padstow. 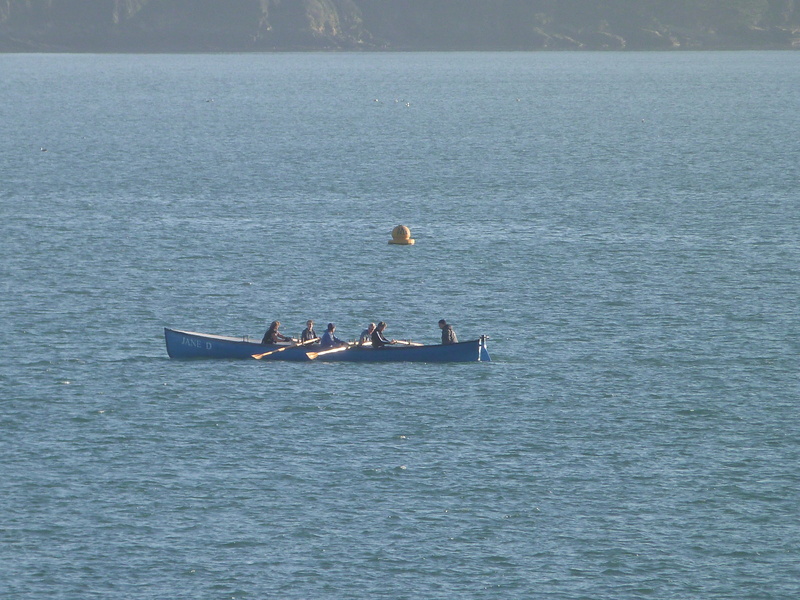 Hardy winter rowers on The Camel Estuary in Padstow. 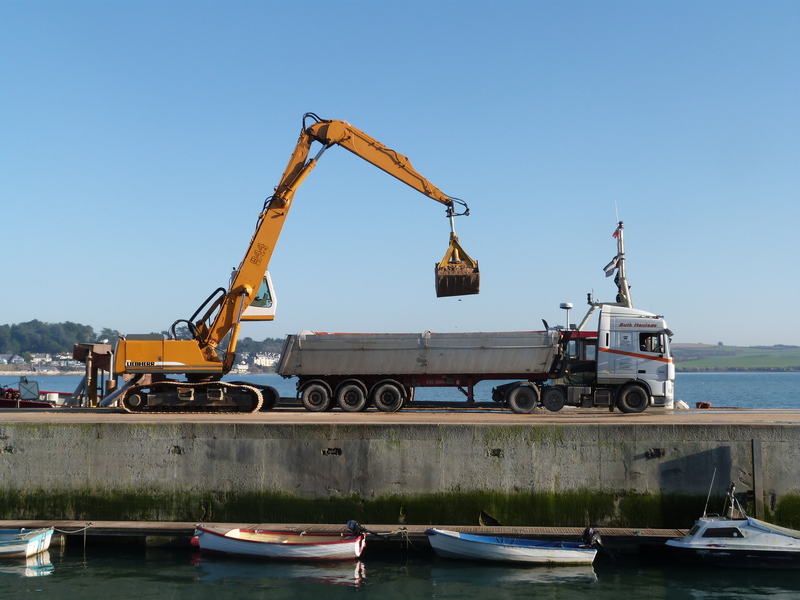 A walk around Padstow Harbour out of season is a joy, no crowds just blissful walking and observing Padstow at work. 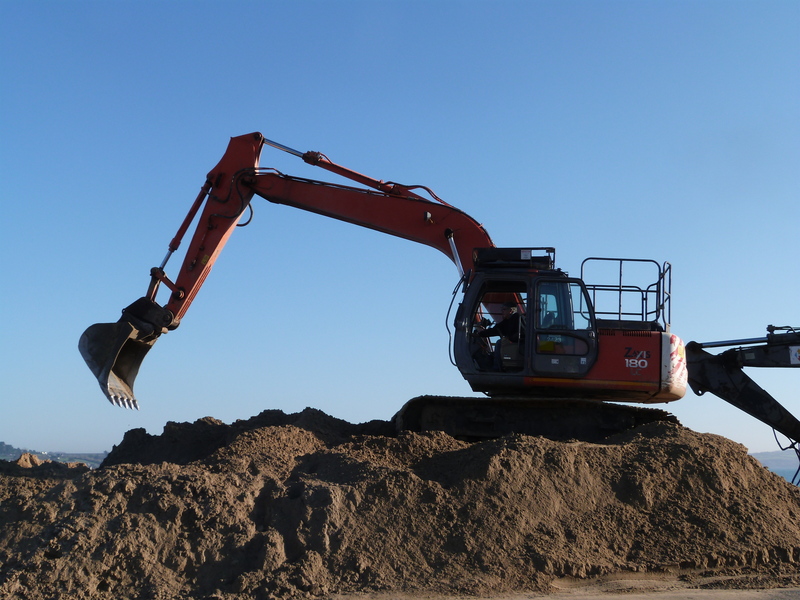 Dredging of the estuary takes place all year round, my gradsons are obsessed with diggers and I quite like them too! 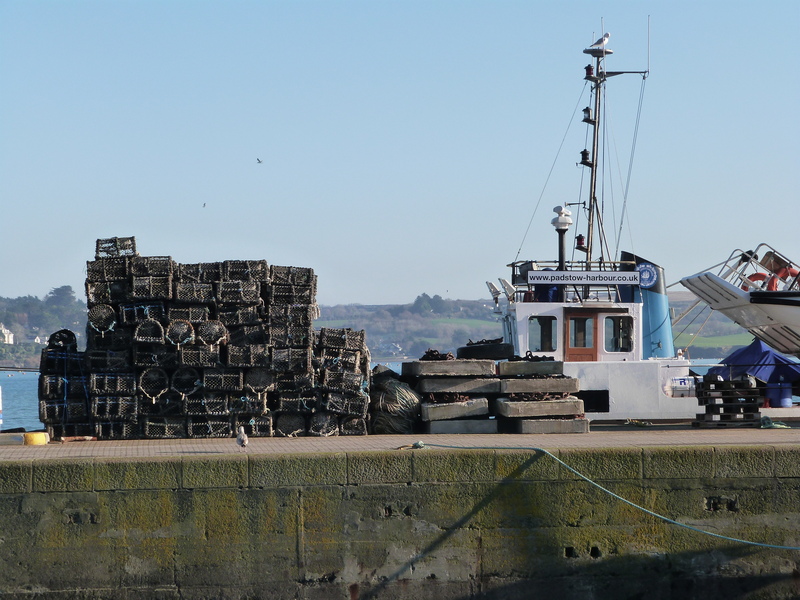 The famous legend of the Padstow mermaid, immortalised by ballads and poems and writings by Sir John Betjeman, is a tale of the Padstow mermaid who created the Padstow Doom Bar, a treacherous sandbank where ships ran aground. 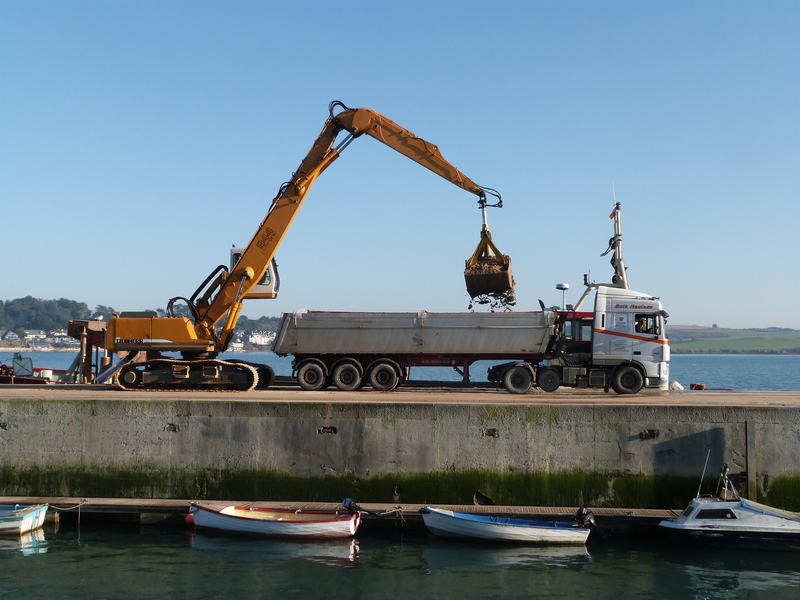 Read my previous blogs on The Doom Bar and the Padstow Mermaid to find out more! 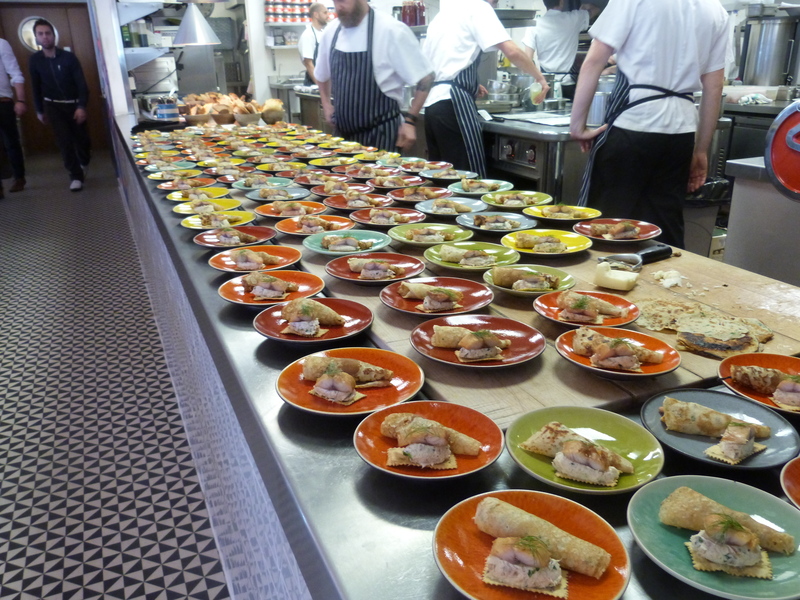 Here are photos of Padstow at work! 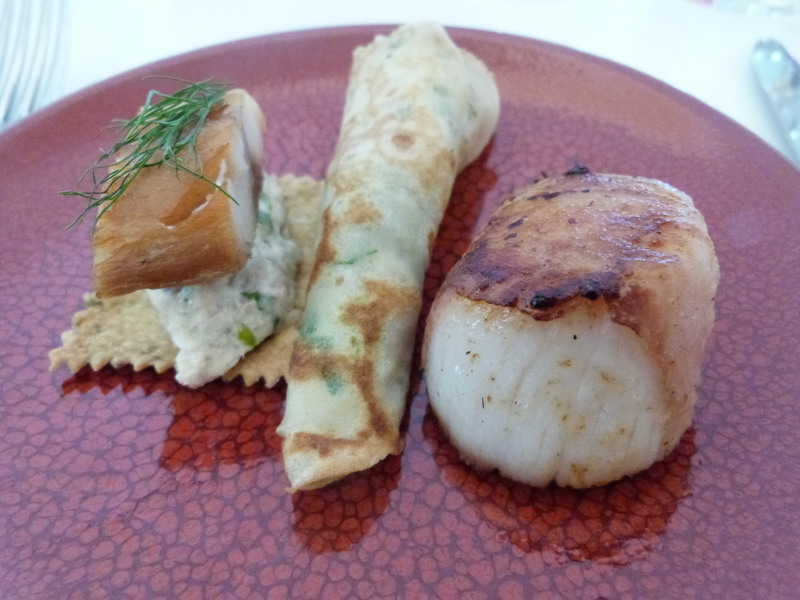 Hope you have enjoyed this little winter’s tale in Padstow, please look out for more of my blogs! Wishing you all a Happy New Year in cornish = Bledhen Nowyth Da! 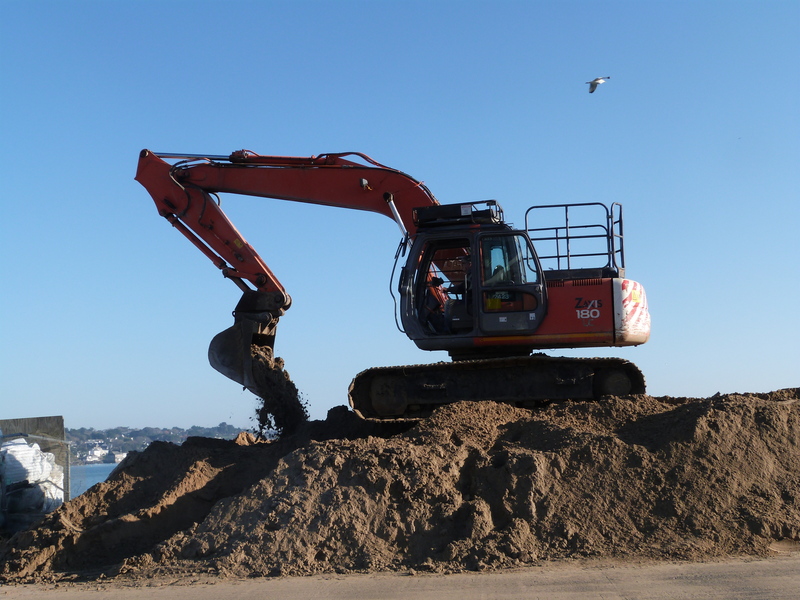 And if you would like to book Little Egret in Porthilly View for your holiday please click on the booking icon!